July 26, 2017 — The International Cannabinoid Research Society (ICRS) has chosen the Hebrew University of Jerusalem to host the International Symposium on the Cannabinoids in 2021 in Jerusalem. The ICRS is the oldest scientific society dedicated to the research in the cannabis plant, cannabinoids, and their physiological and biochemical targets. The ICRS has nearly 400 members from all over the world. The members and guests of the ICRS gather yearly to present the ICRS Symposium. Hundreds of participants from Israel and around the world will participate in the conference, at the International Convention Center (ICC) in Jerusalem, in cooperation with the Jerusalem Conventions & Visitors Bureau (JCVB), which operates under the Jerusalem Development Authority (JDA). The event will be hosted by the Hebrew University’s Multidisciplinary Center on Cannabinoid Research (MCCR), which is the leading center in Israel for conducting and coordinating research on cannabinoids, endocannabinoids and medical Cannabis. Over the last 50 years, Hebrew University research has spearheaded a new scientific era of Cannabis research. 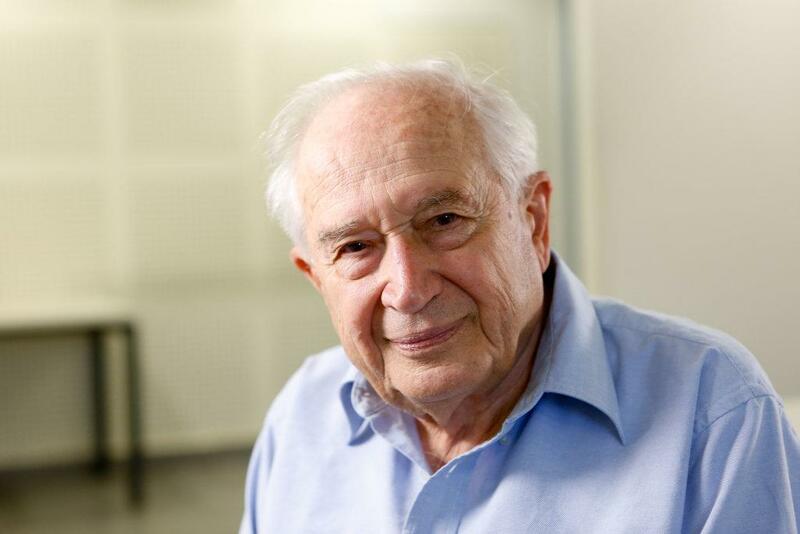 Professor Raphael Mechoulam, a Hebrew University researcher widely regarded as “the father of cannabinoid research,” and his colleagues isolated the active constituent of the Cannabis plant, tetrahydrocannabinol, elucidated its structure, and synthesized it. Later Professor Mechoulam identified the endogenous cannabinoids (formed in the mammalian body) and thus pioneered the field of cannabinoid research. The International Symposium will mark Professor Mechoulam’s 90th birthday. “Modulating endocannabinoid activity has therapeutic potential in a large number of human diseases, and research on cannabinoids may lead to very significant advances in basic science and therapeutics. We look forward to hosting the world’s top scientists working to discover new therapies based on cannabinoids,” said Professor Raphael Mechoulam, Head of the Academic Committee of the Multidisciplinary Center, and the Lionel Jacobson Professor Emeritus of Medicinal Chemistry in the Hebrew University’s Faculty of Medicine. “Bringing this global symposium to Jerusalem emphasizes the ongoing collaboration between multiple institutions including the JCVB, ICC, and MCCR. This partnership was only possible with the shared vision in highlighting the city’s potential as a leading scientific conference destination. Jerusalem offers an ideal setting to host the over 400 global researchers to learn and promote the exchange of scientific information and gain new perspectives about Cannabis,” said Ilanit Melchior, Director of Tourism in Jerusalem. The Multidisciplinary Center on Cannabinoid Research, staffed by leading scientists and medical doctors from the Hebrew University and its affiliated Hadassah Medical Center, conducts and coordinates exciting new research about cannabinoids, endocannabinoids, and medical Cannabis, while promoting collaboration and disseminating information. More info at http://cannabinoids.huji.ac.il/.